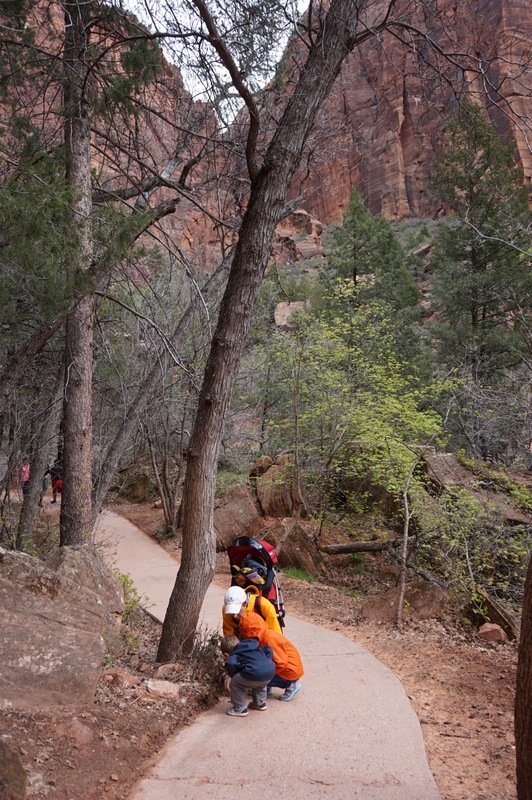 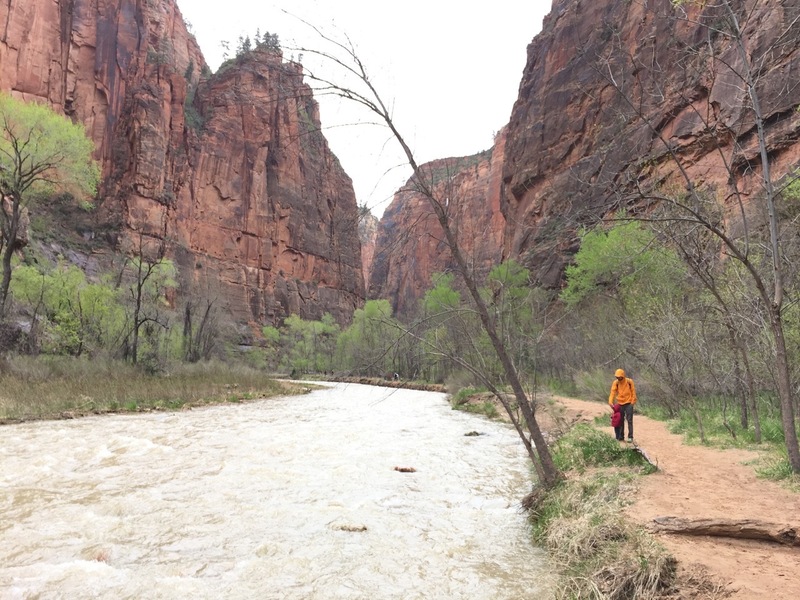 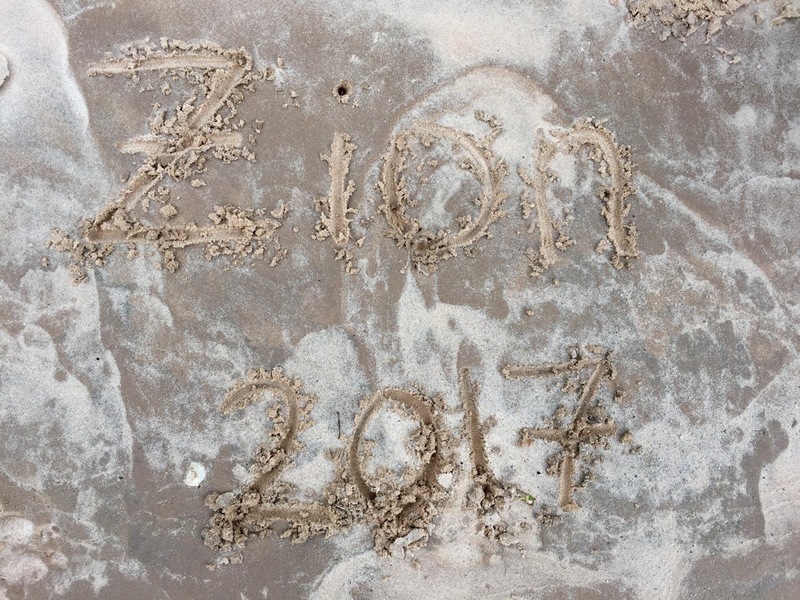 Zion — it was amazing! 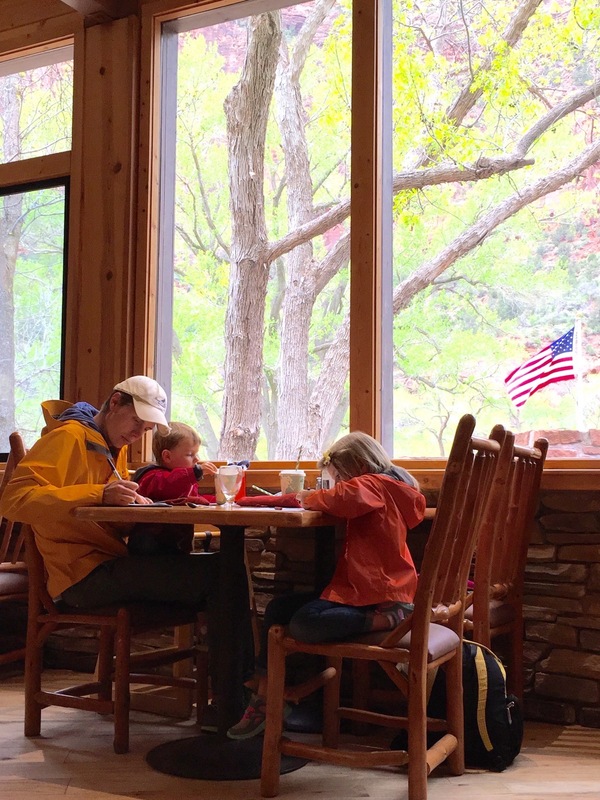 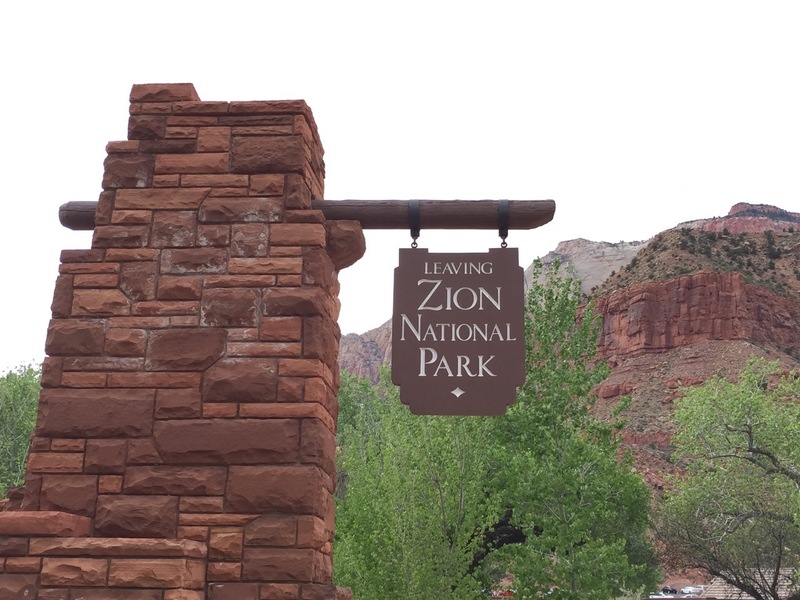 Most likely our favorite national park yet. 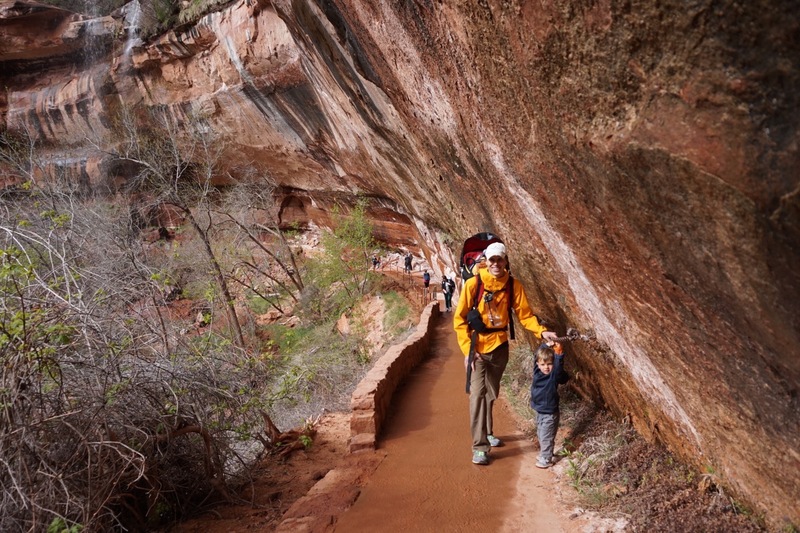 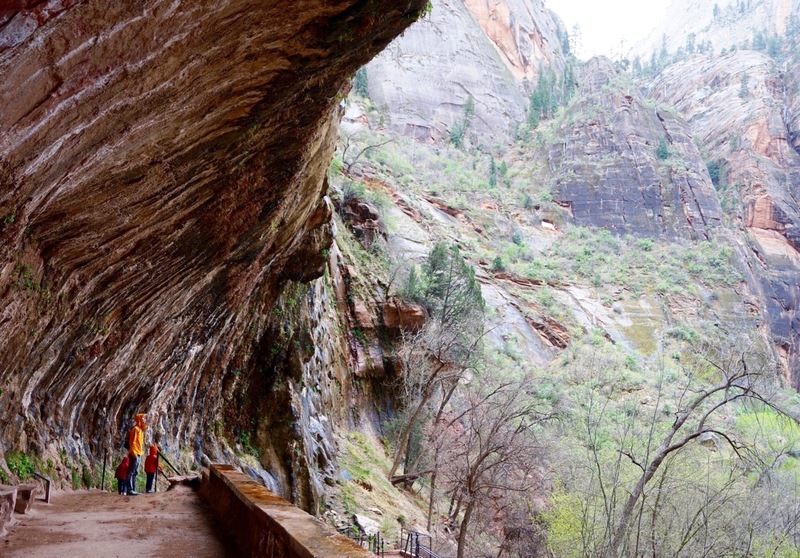 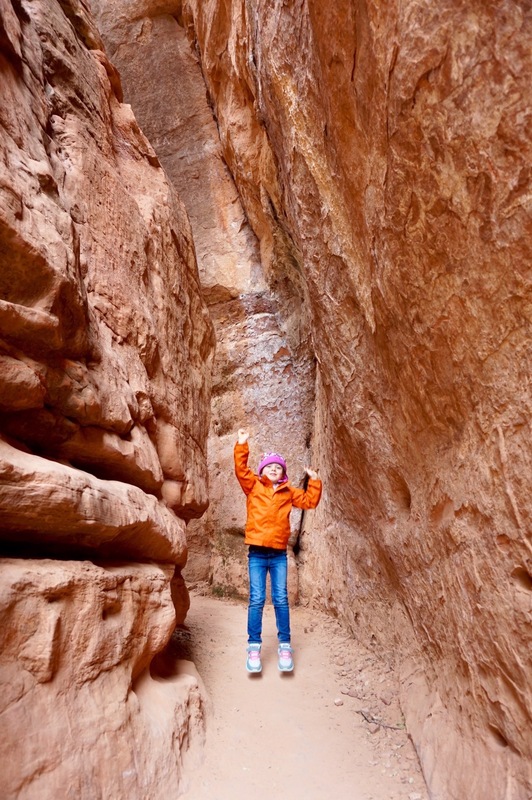 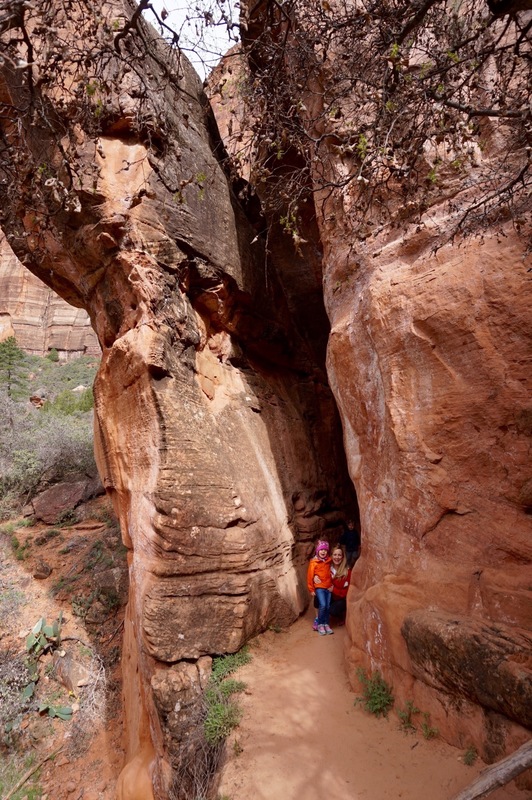 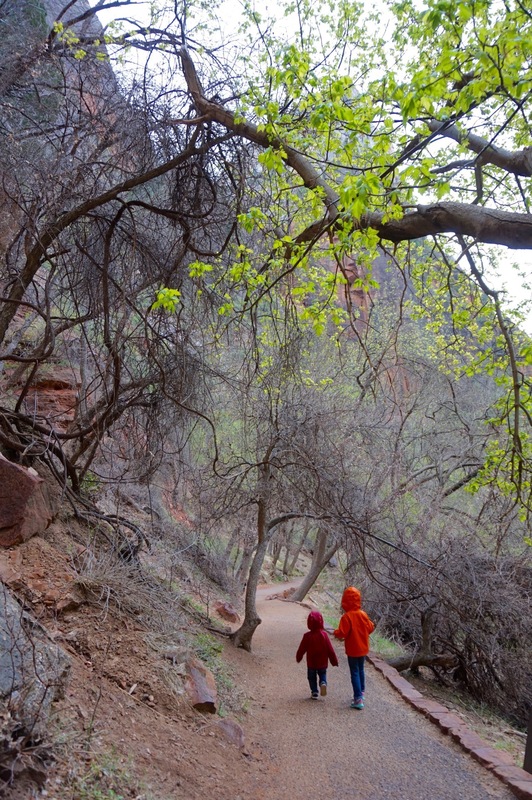 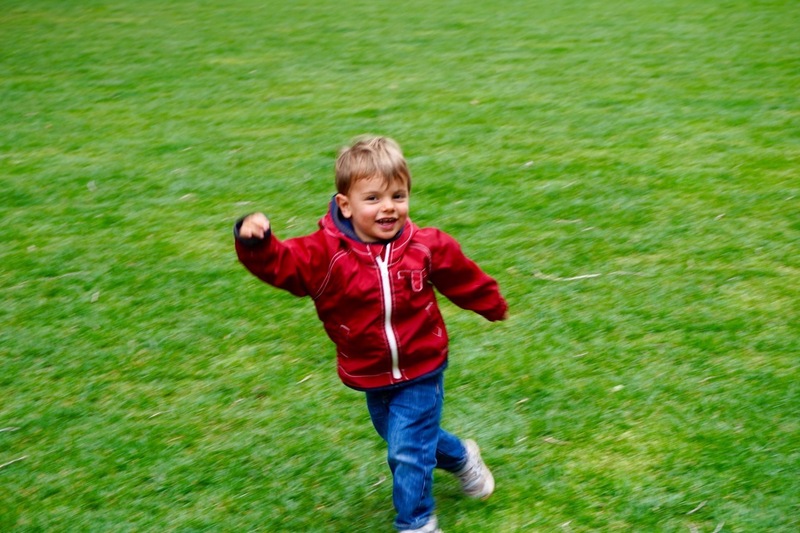 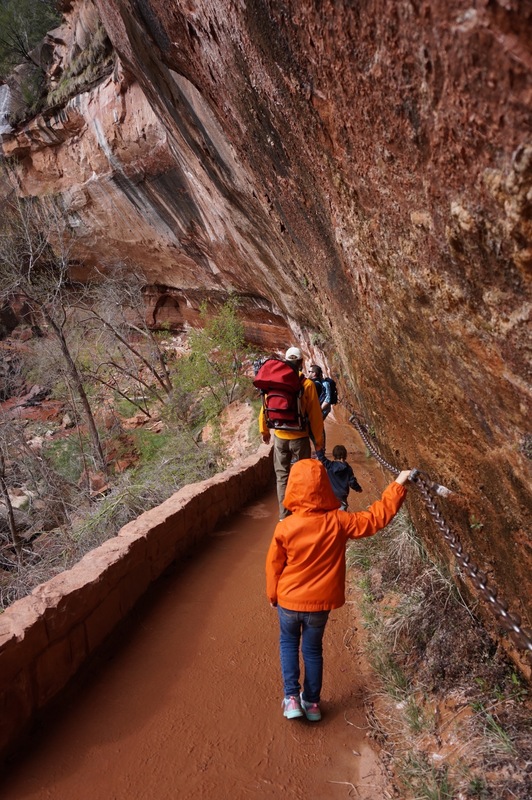 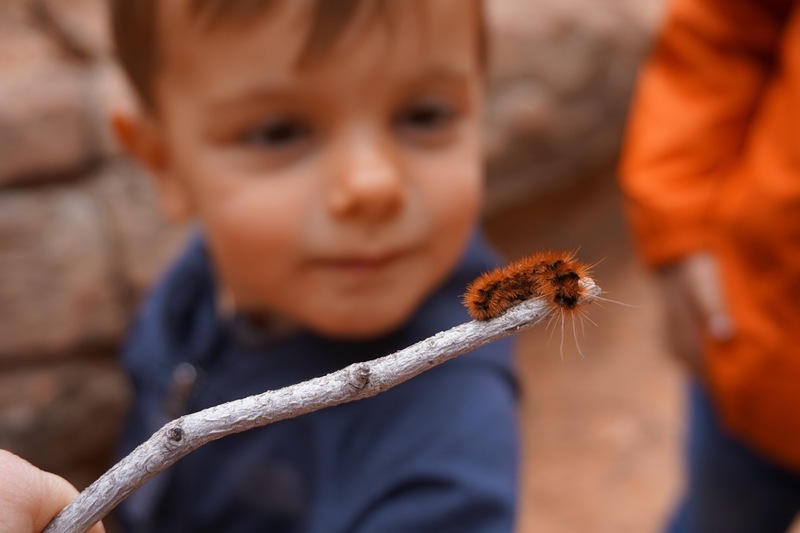 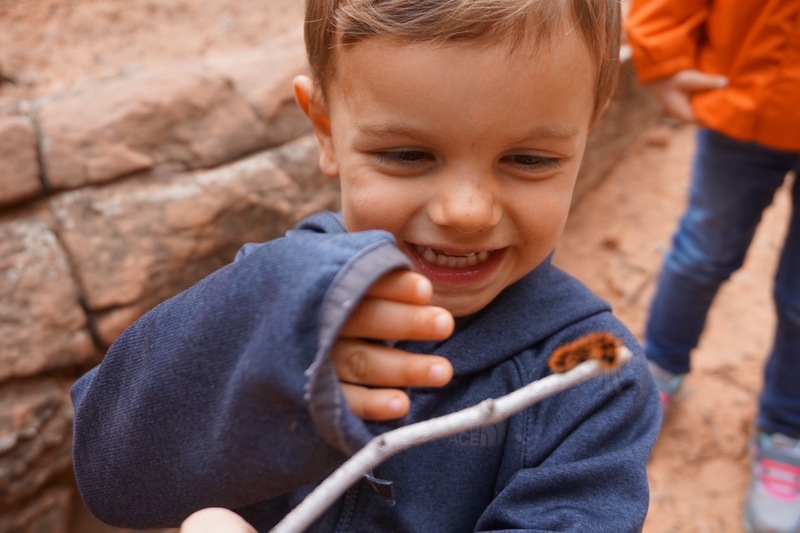 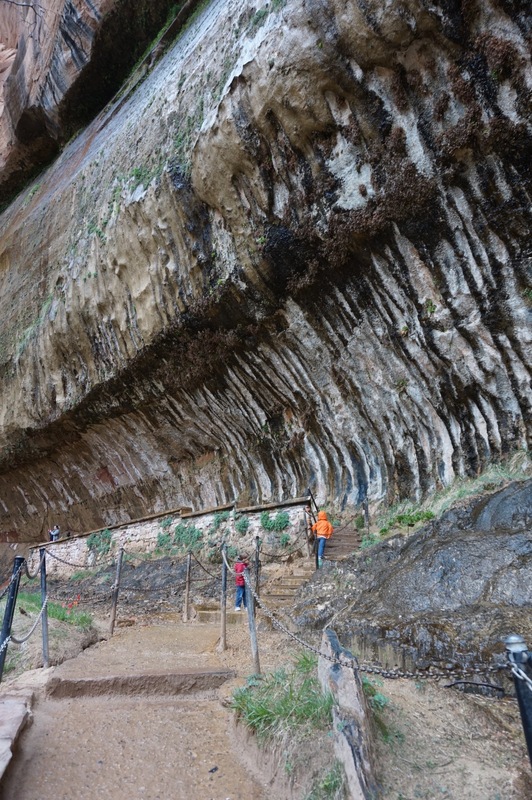 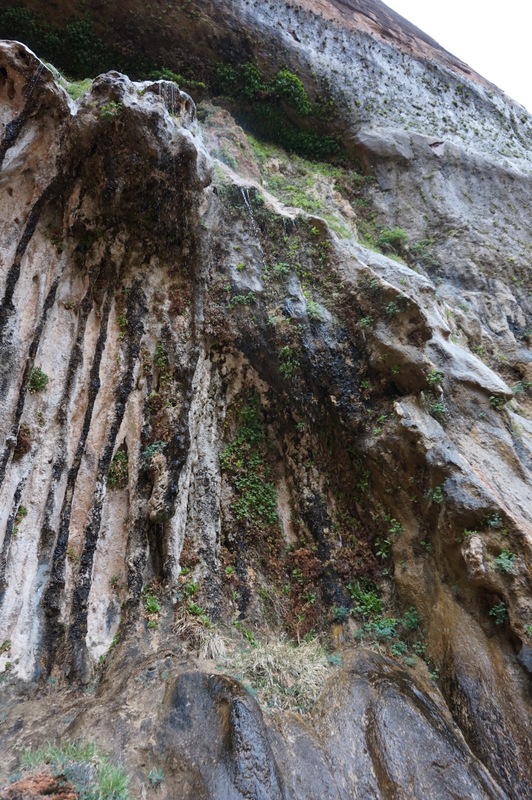 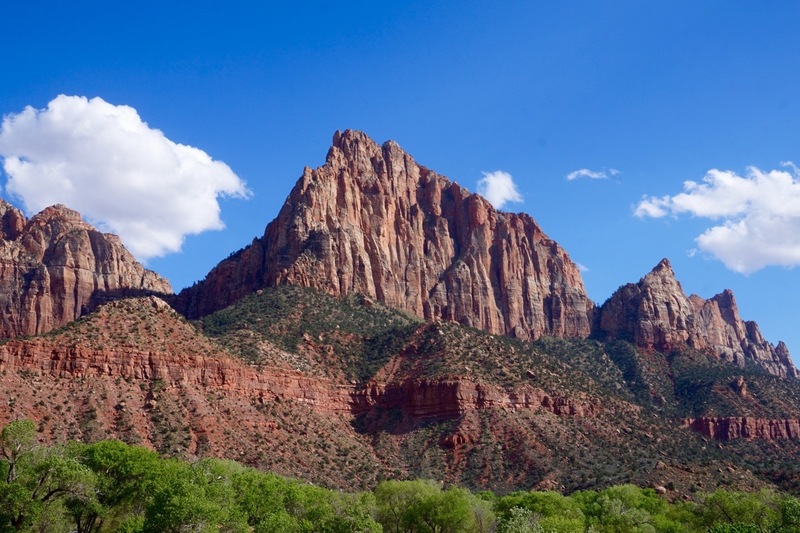 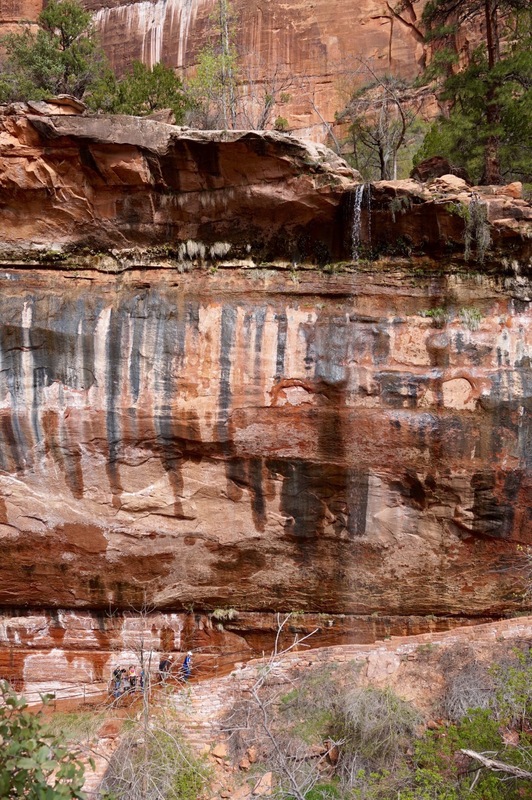 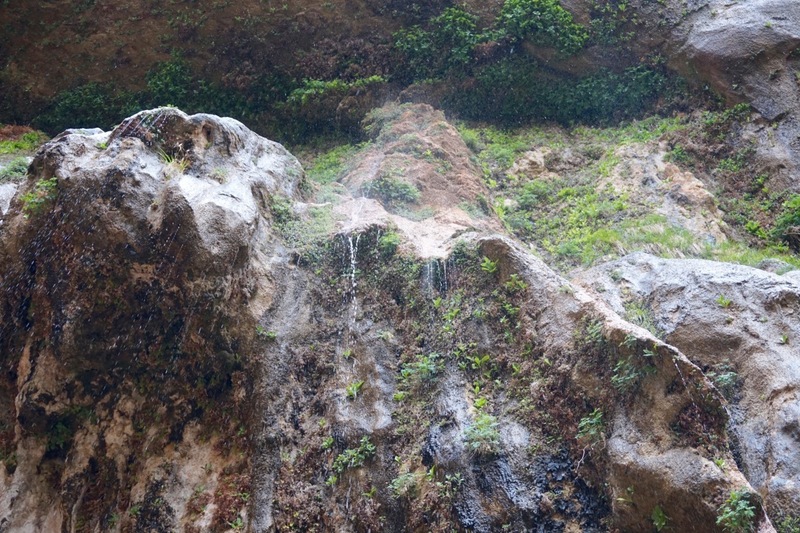 From towering canyons to gorgeous grottos and legendary scenery, it’s not surprising why the first settlers saw it as a sanctuary in the Utah wilderness. 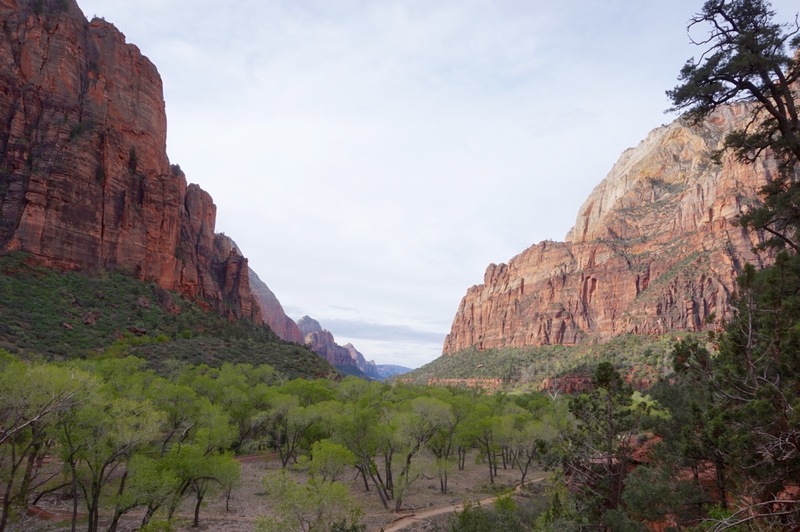 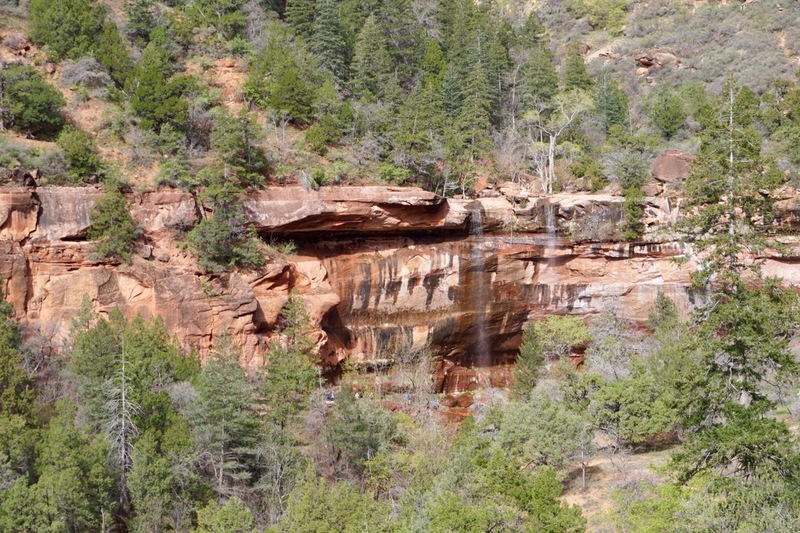 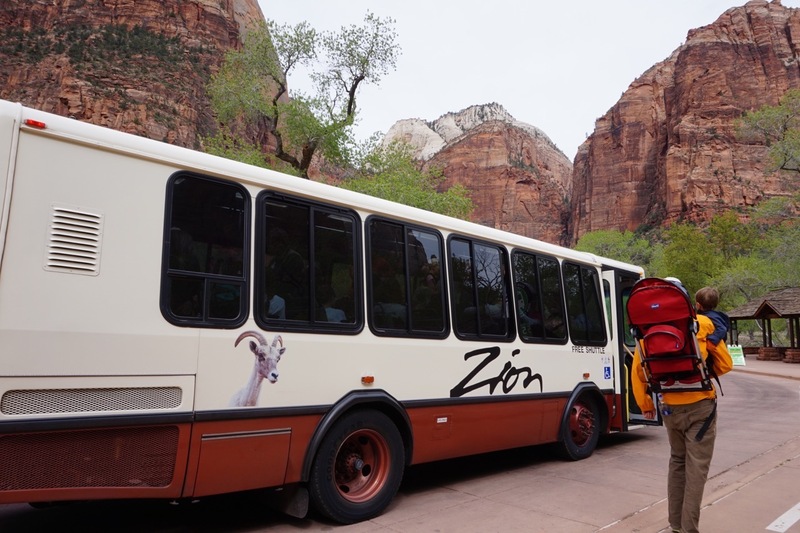 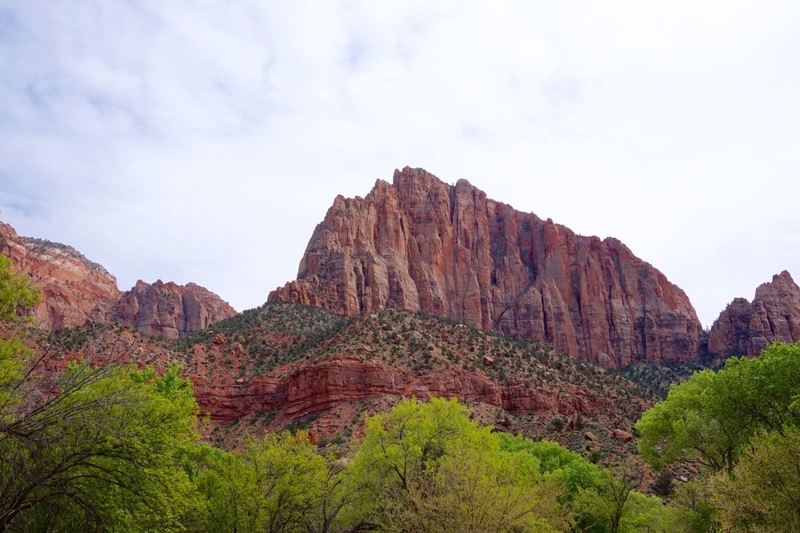 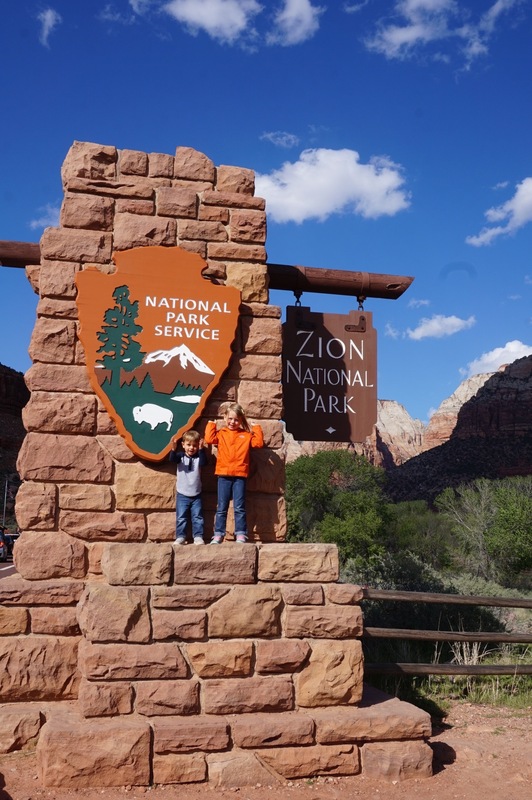 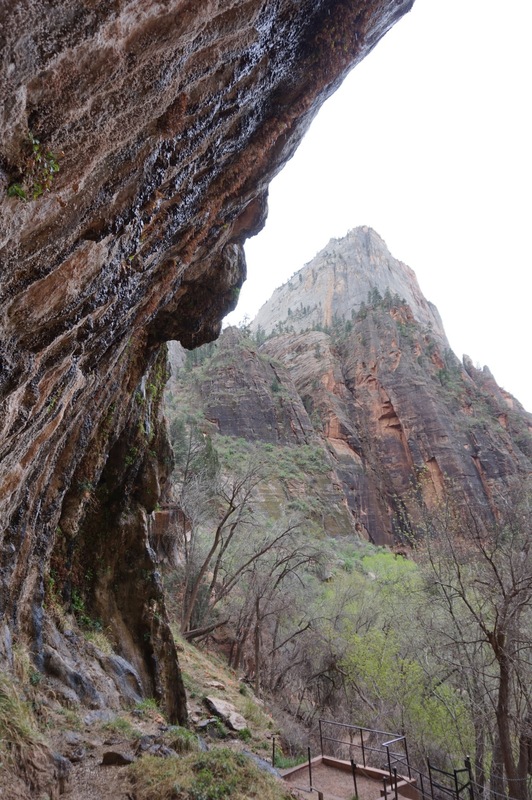 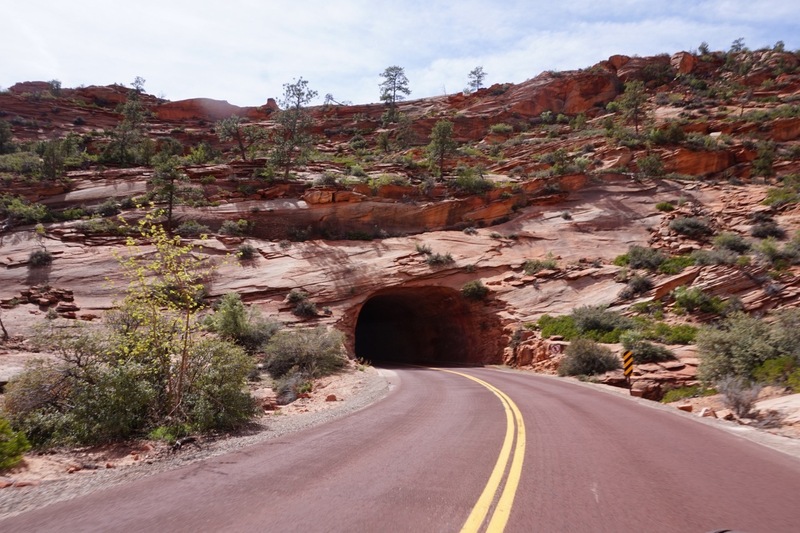 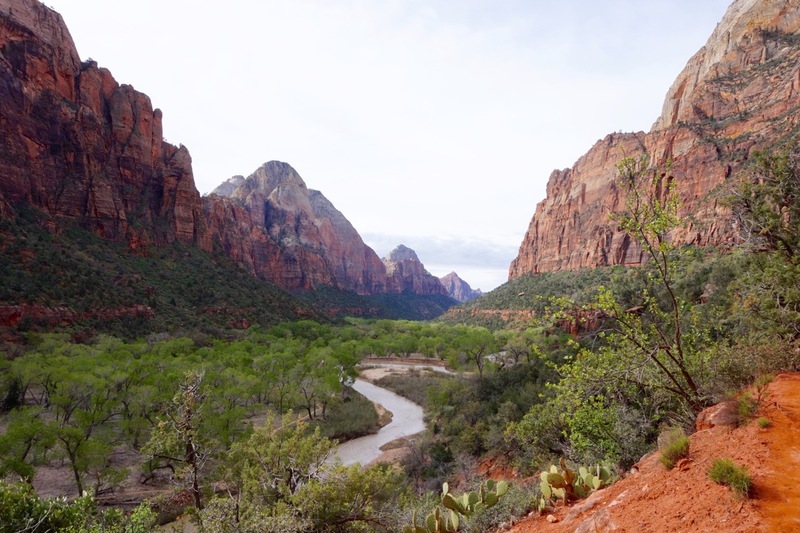 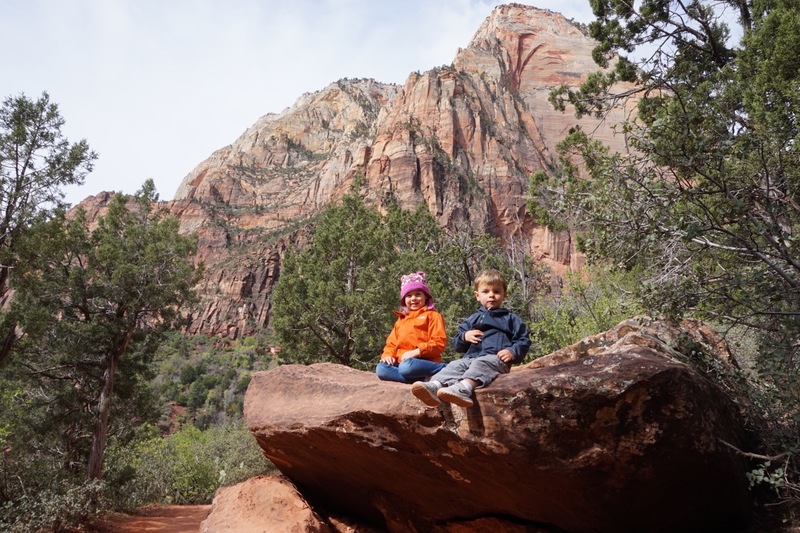 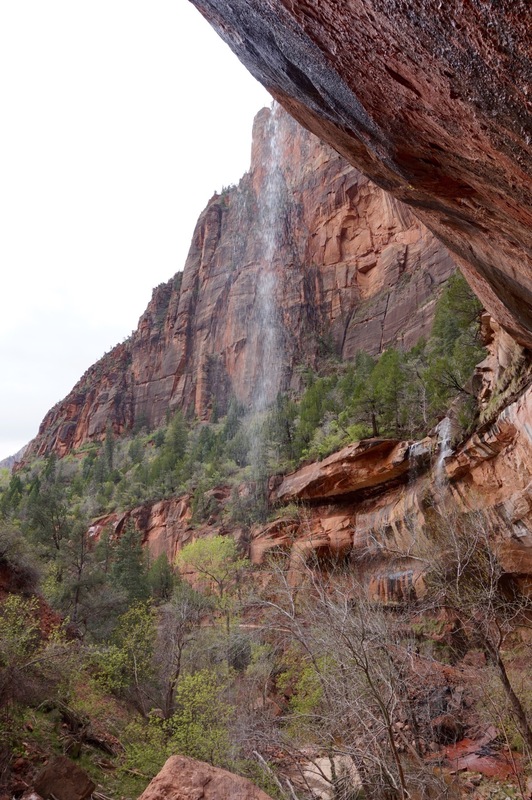 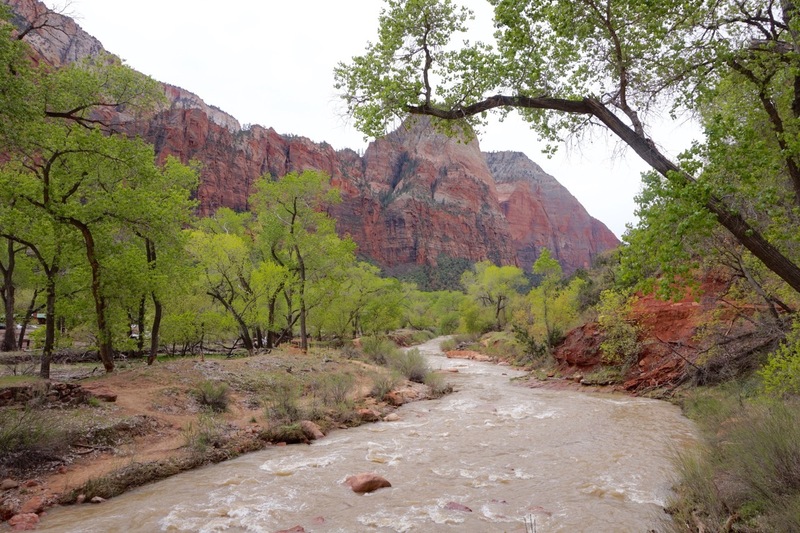 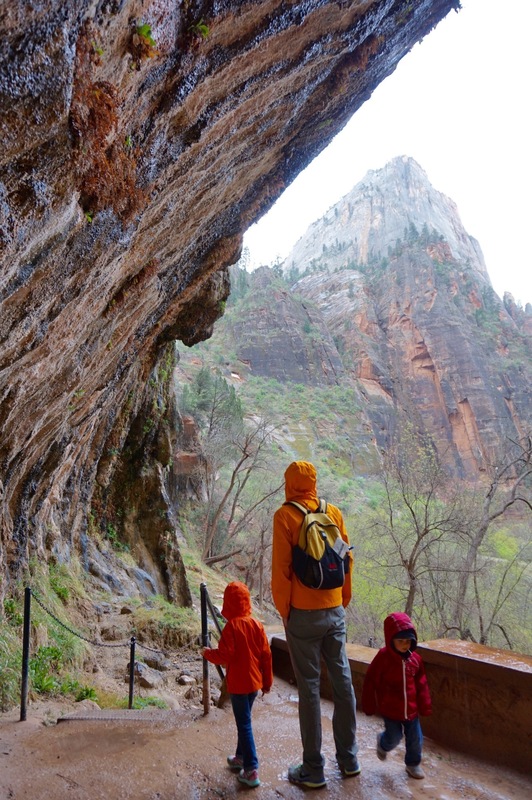 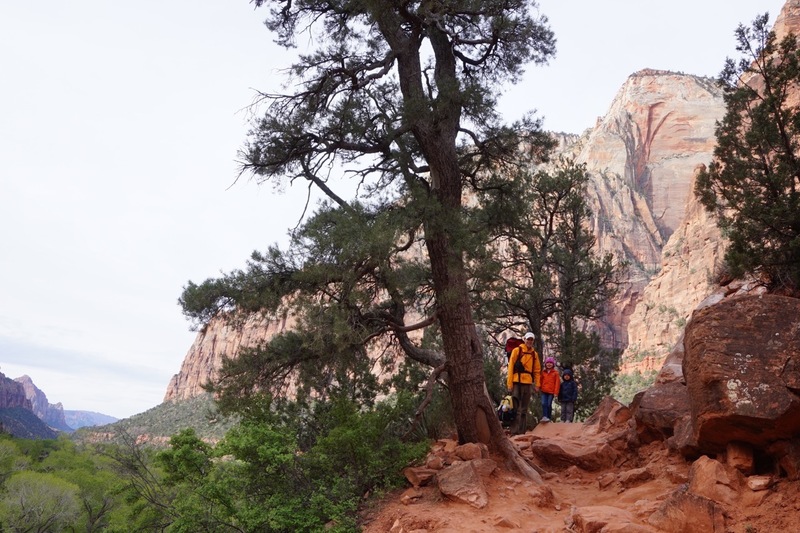 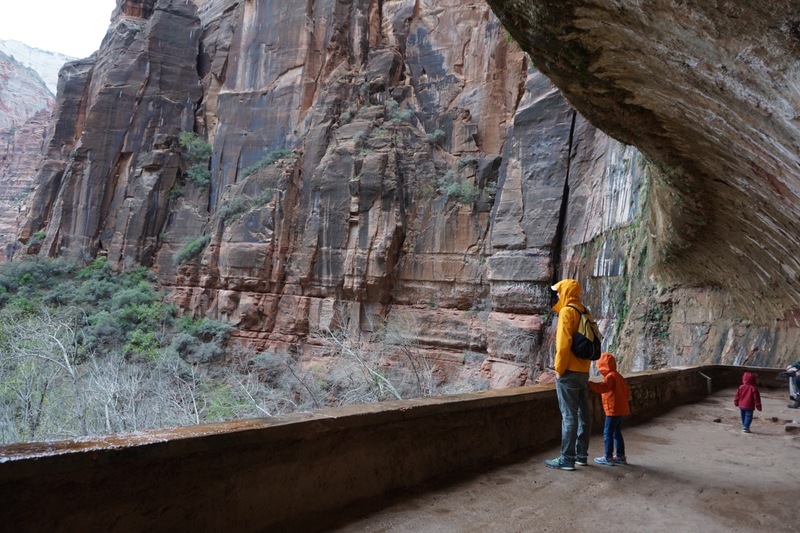 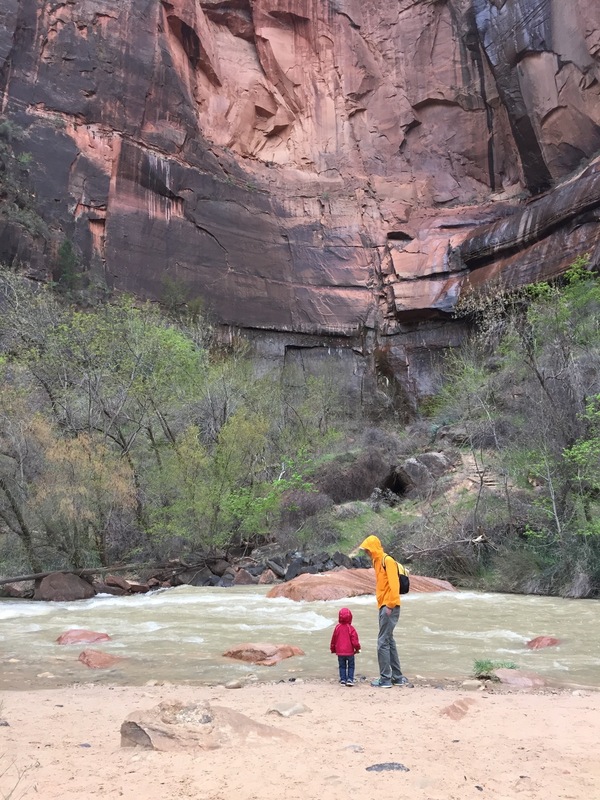 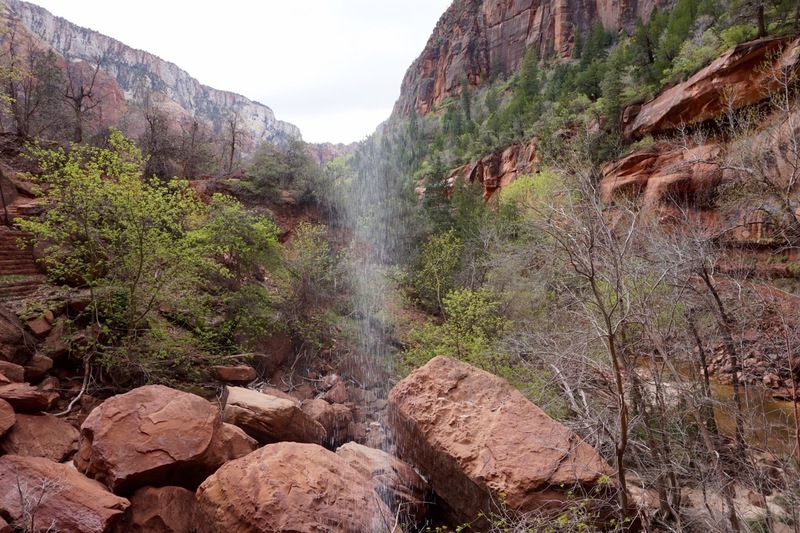 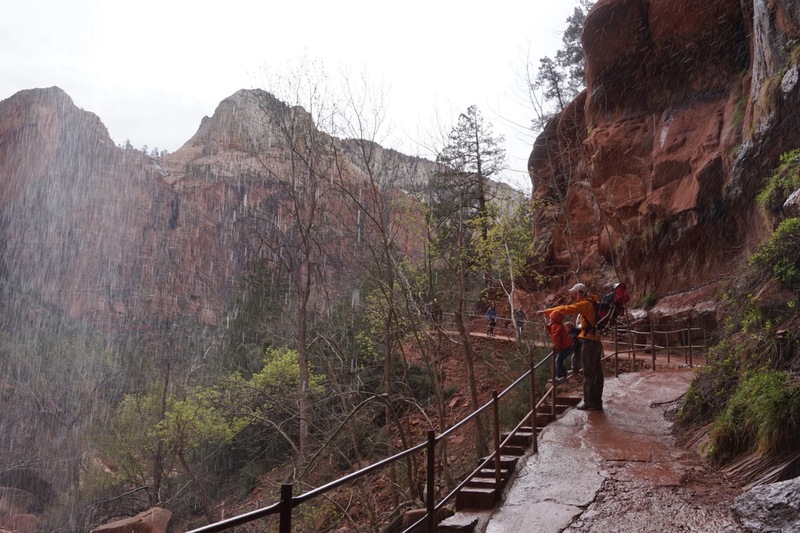 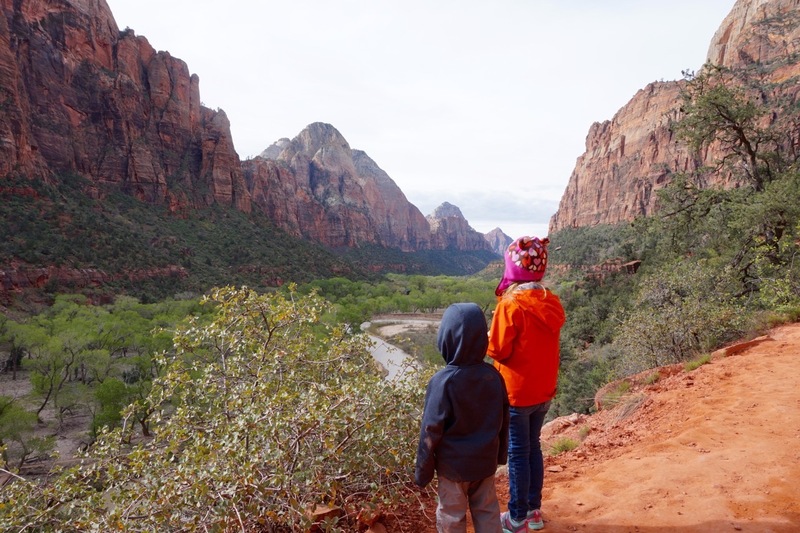 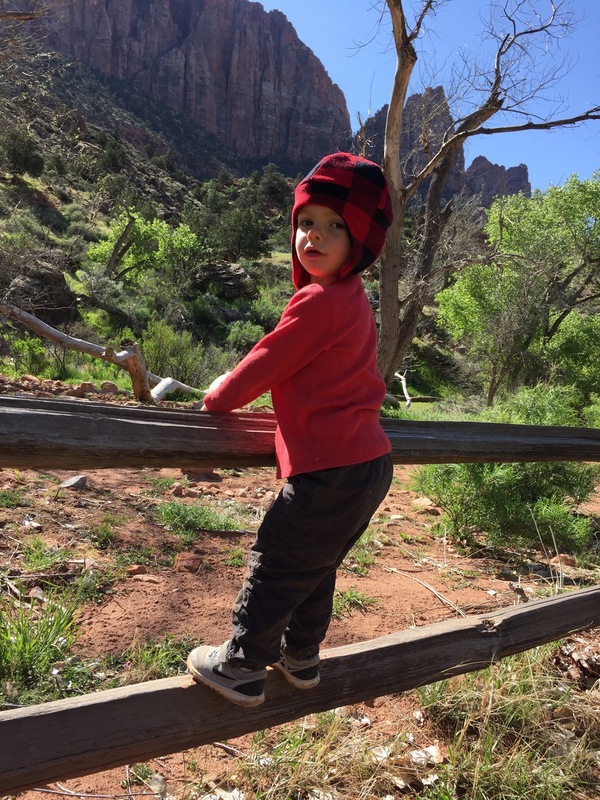 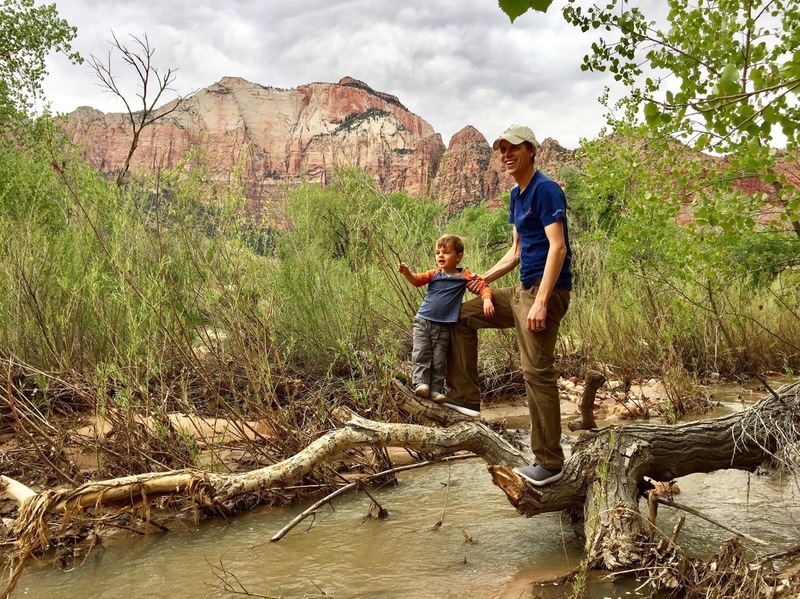 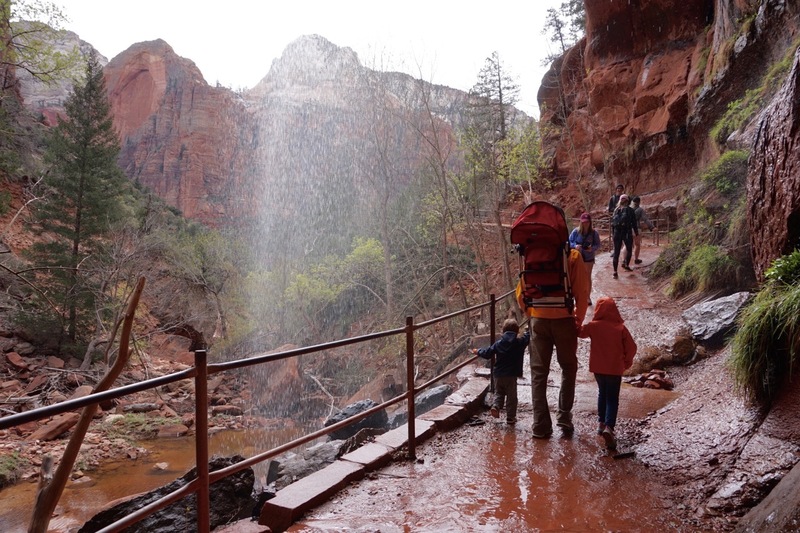 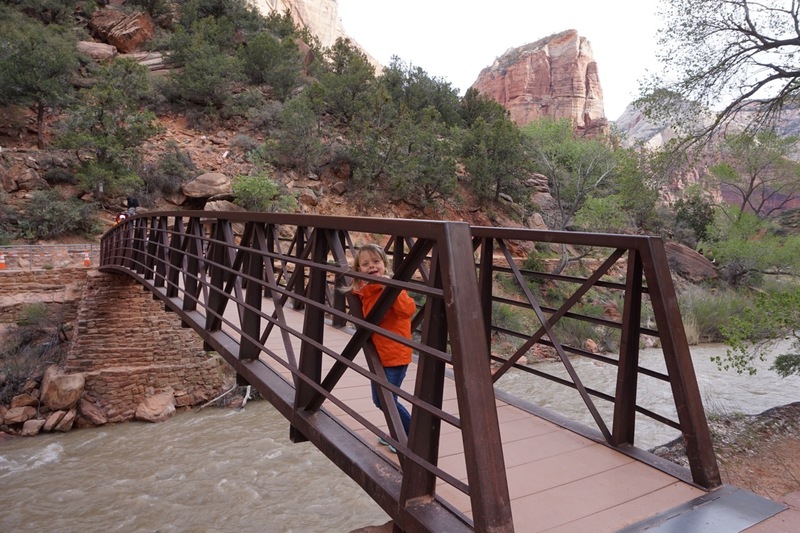 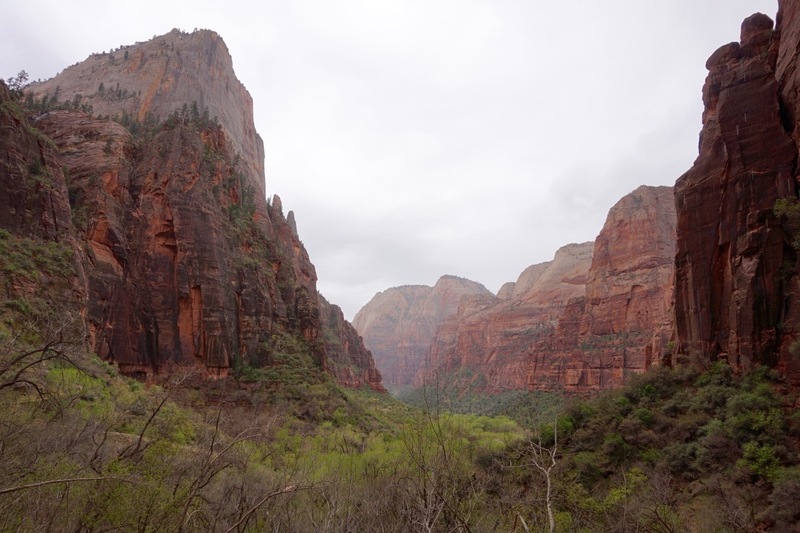 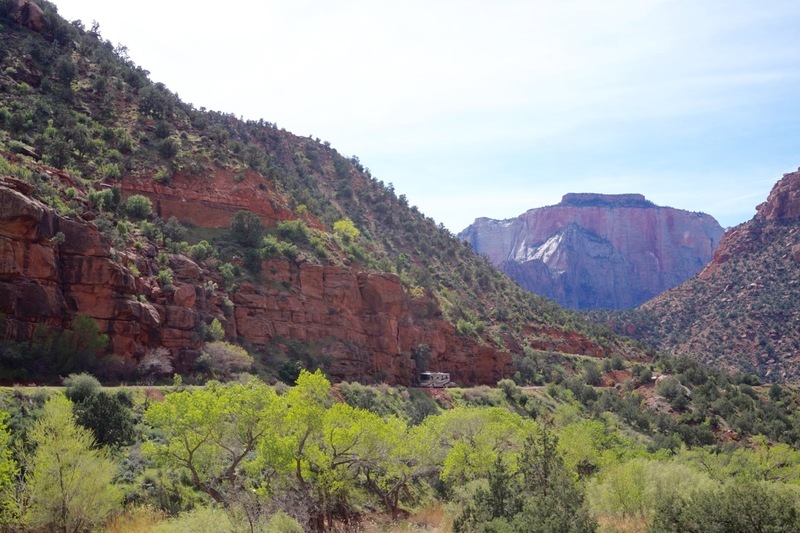 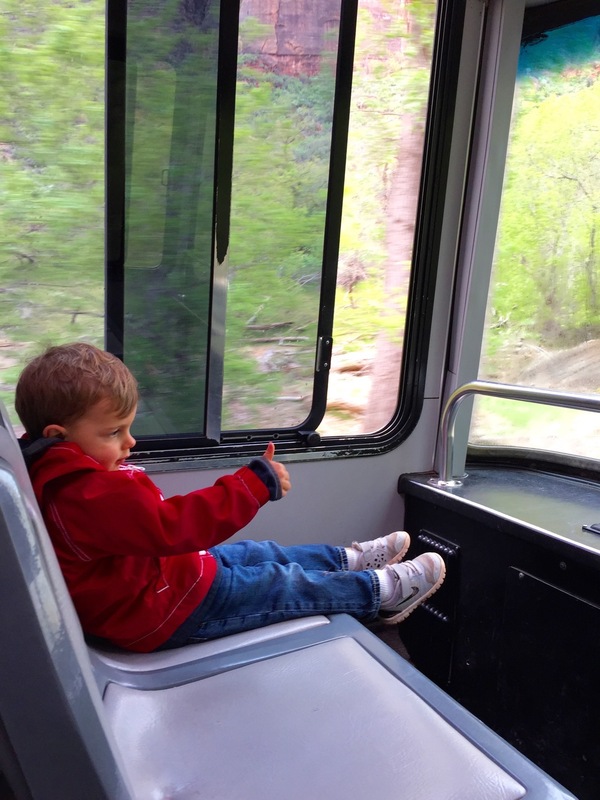 To drive into the park we braved the 13’ Zion Tunnel with our 12’ 6” RV and wound down the switchbacked Zion – Mt Carmel Highway into the valley and neighboring Springdale, UT. 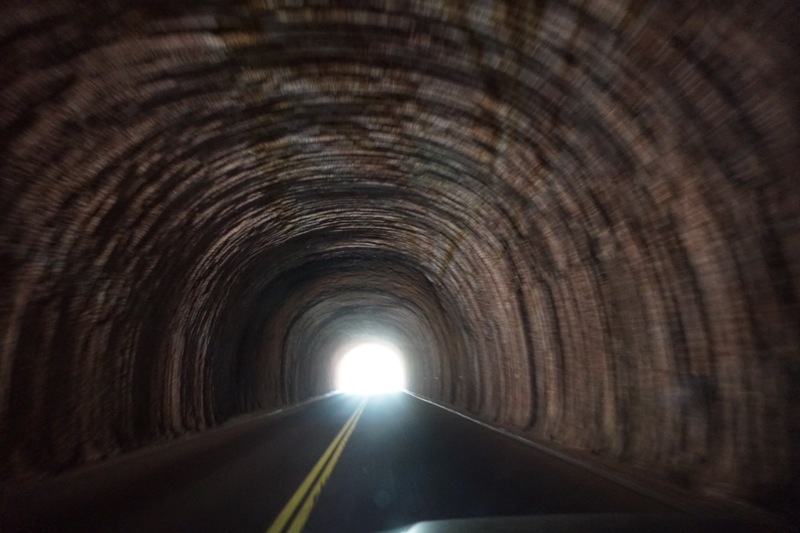 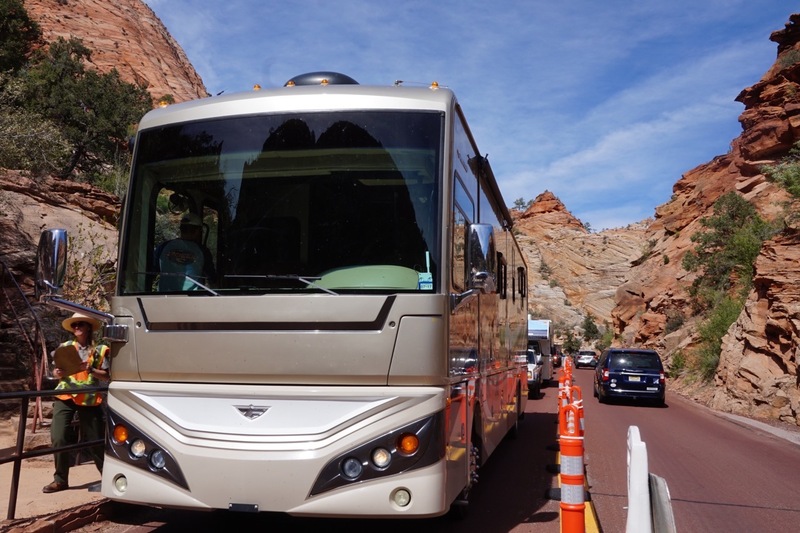 (For fellow RVers, note you need to purchase a permit to transit the tunnel at certain times as they block traffic to allow you to drive through the middle to be at the highest part of its ceiling). 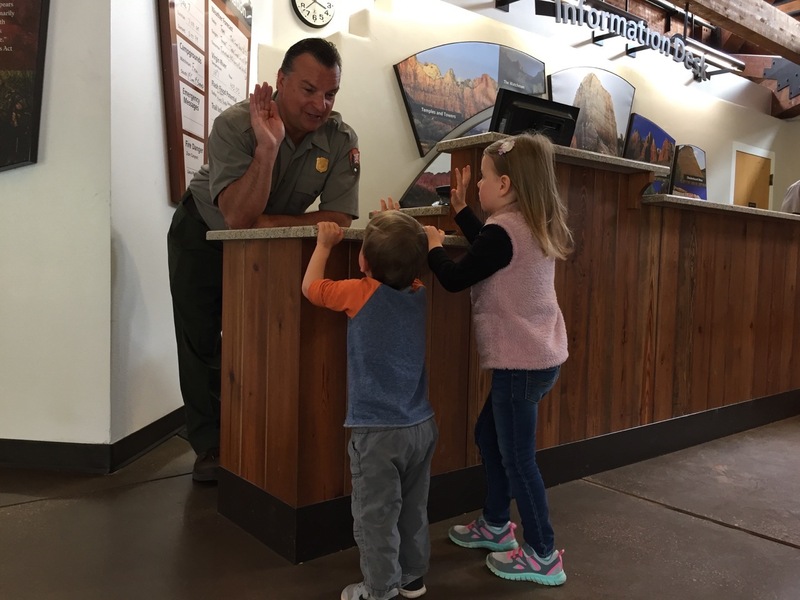 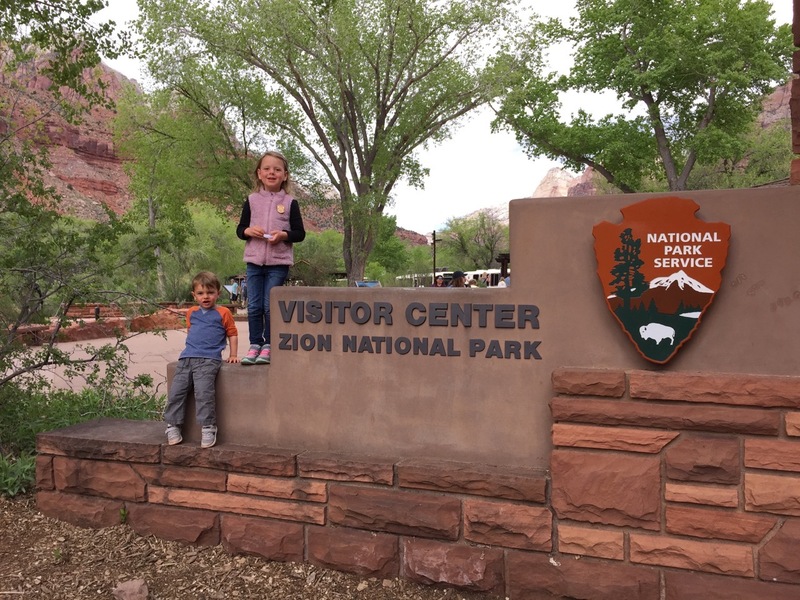 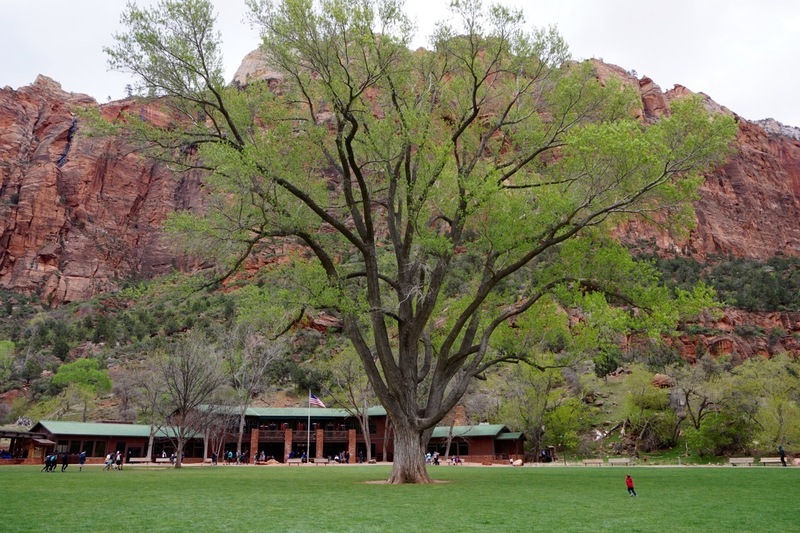 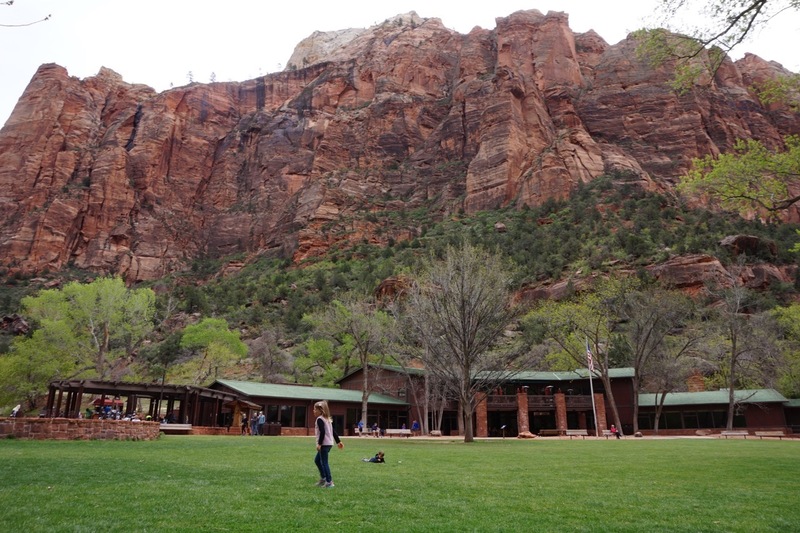 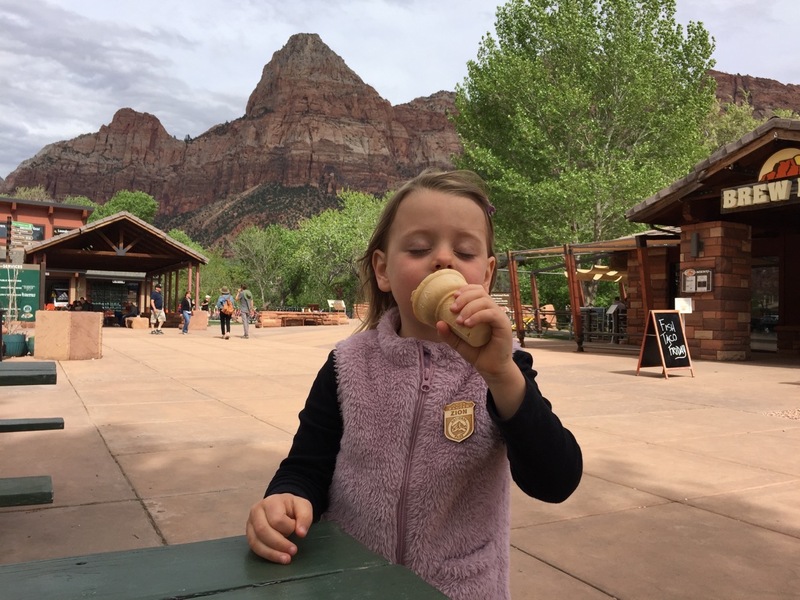 Thankfully, even with the crowds of spring break, we secured a spot in the Watchman Campground after a cancellation (typically fully booked six months in advance), letting us stay within the park for most of our visit. 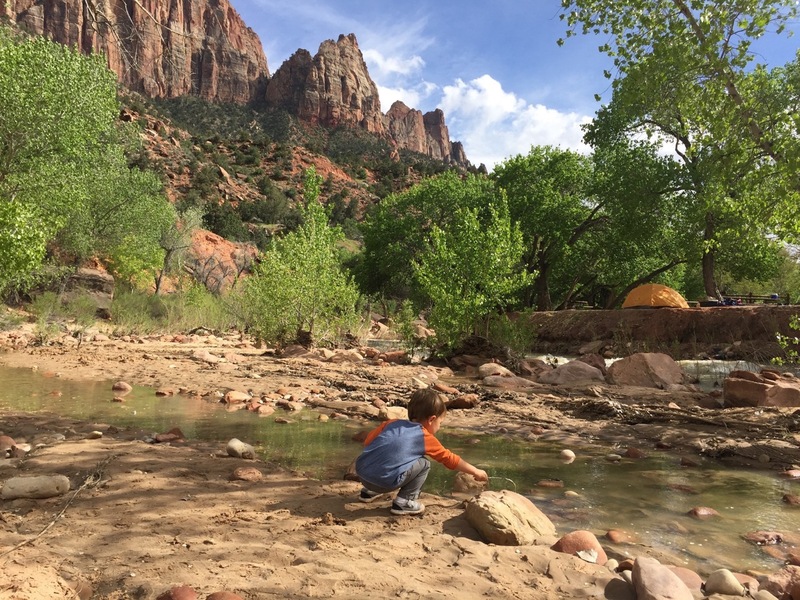 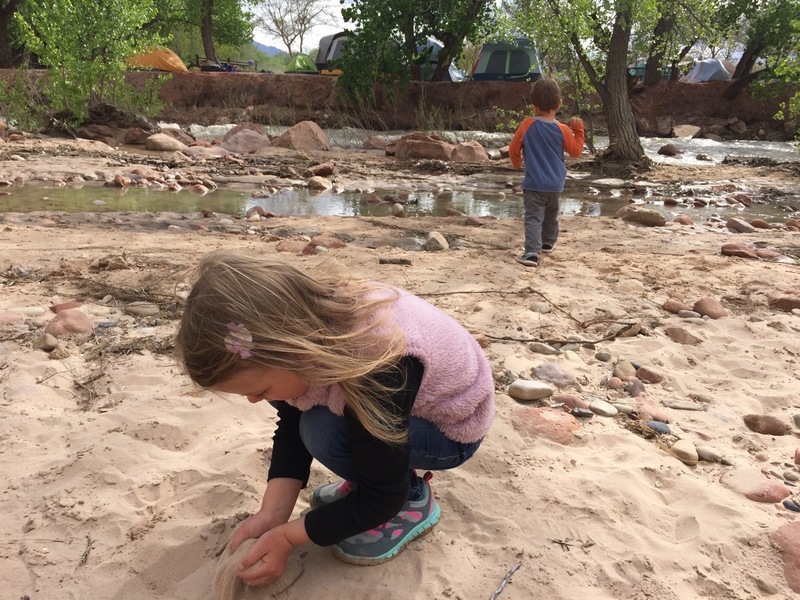 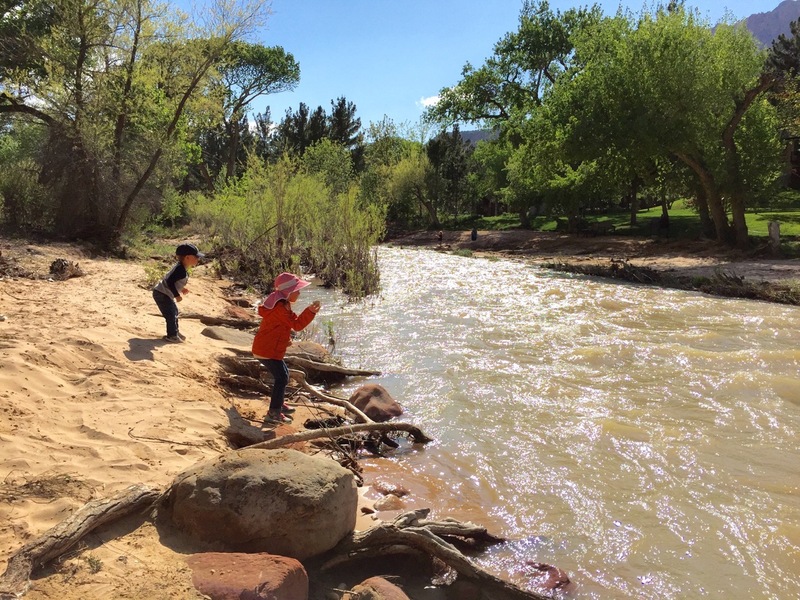 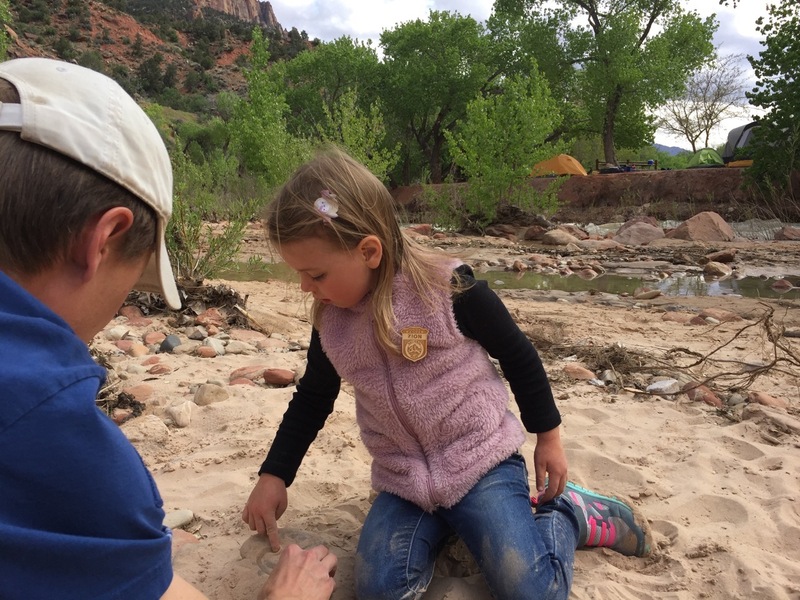 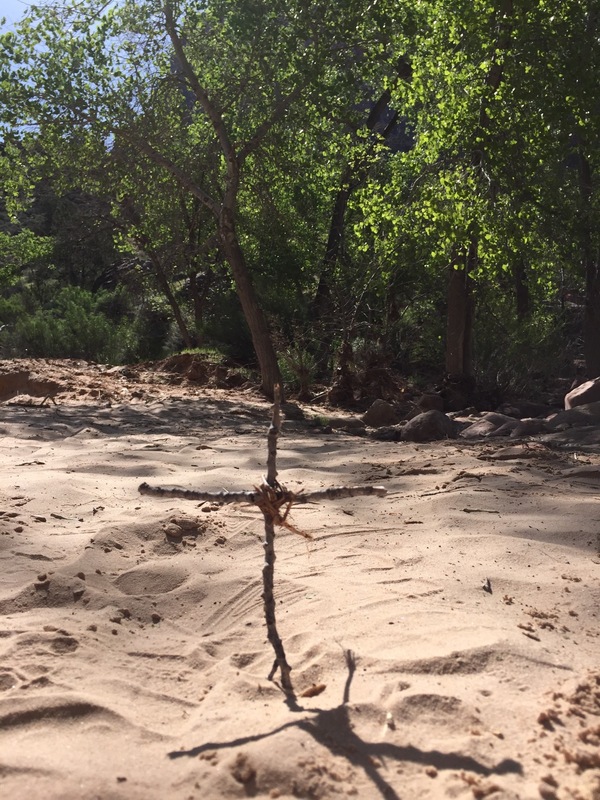 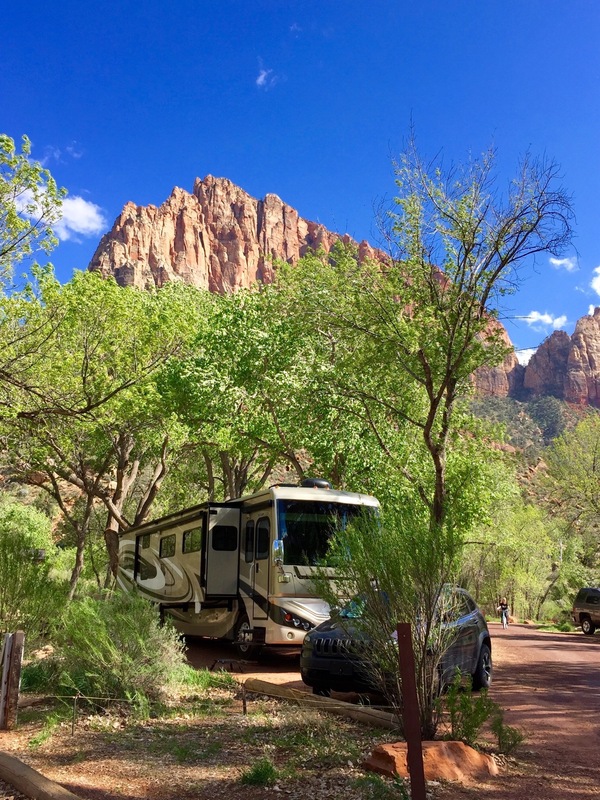 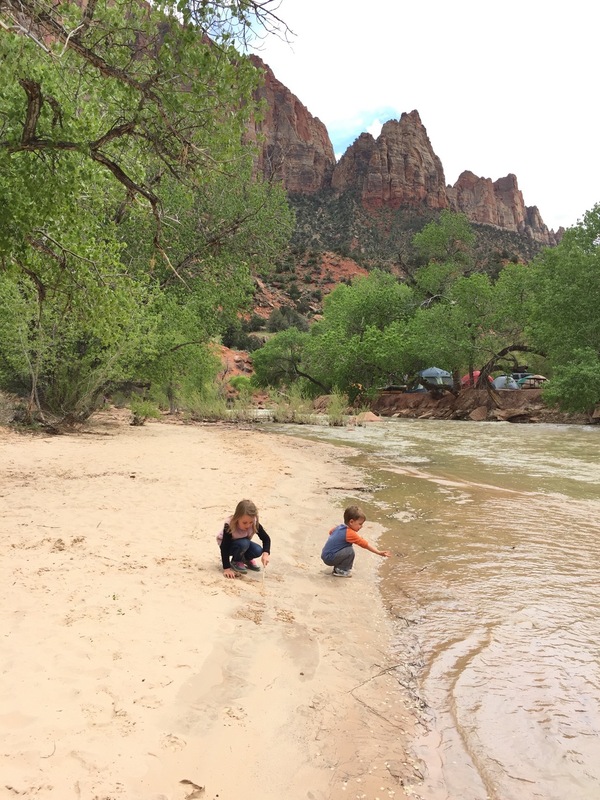 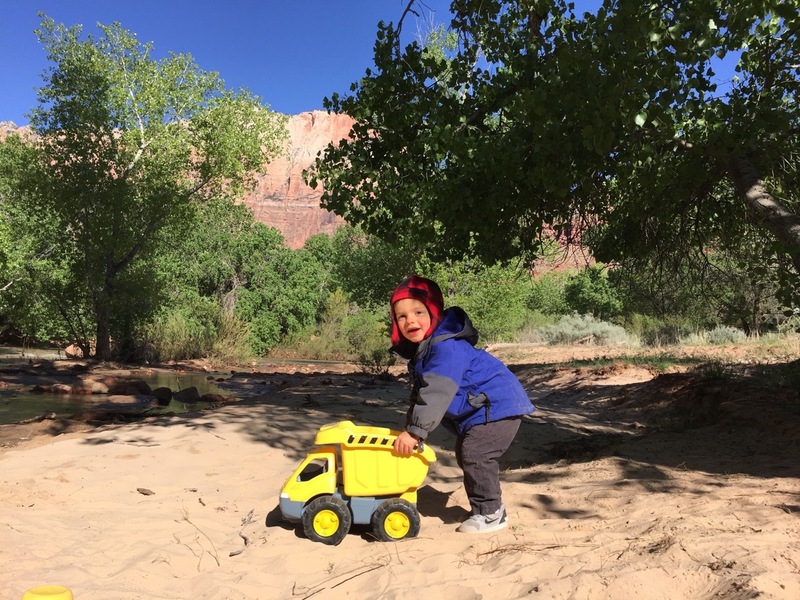 The campground is beneath the restful shadows of the Watchman tower rock formation and nestled in a bend of the Virgin River, making it one of our best spots to date. 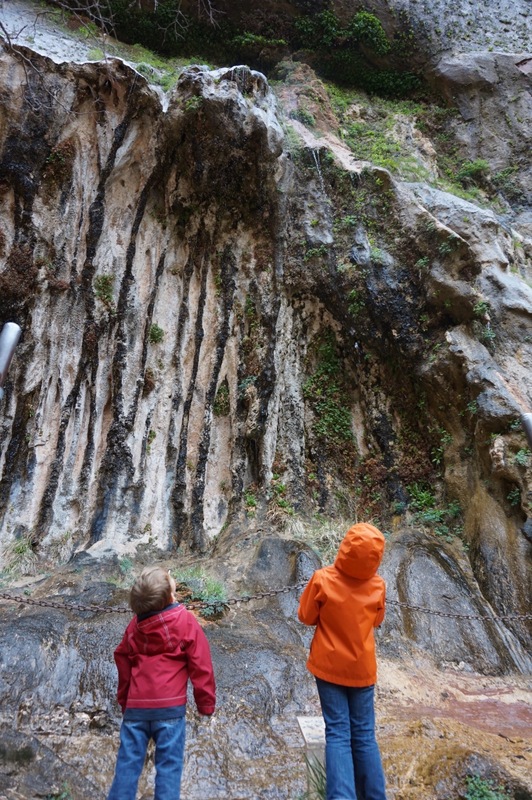 Next stop: the art installation, Seven Magic Mountains, just outside of Vegas! 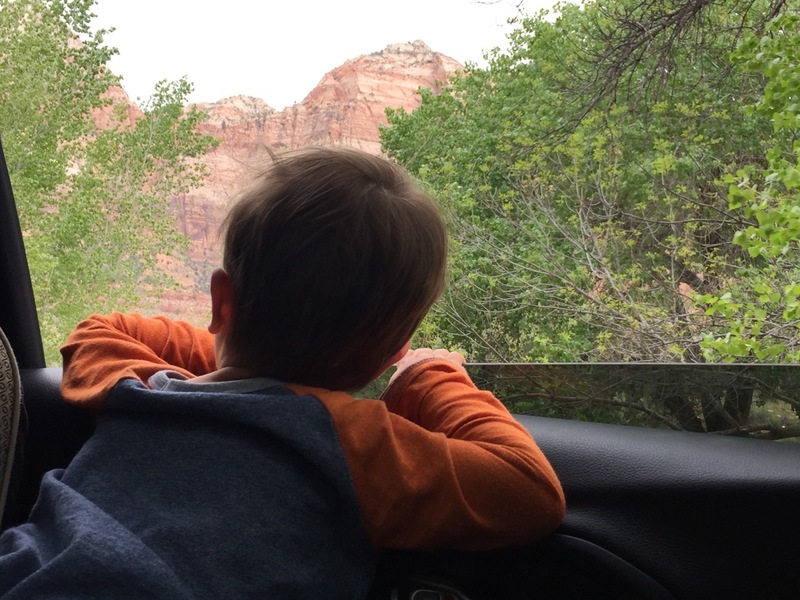 Safe travels to the next destination. 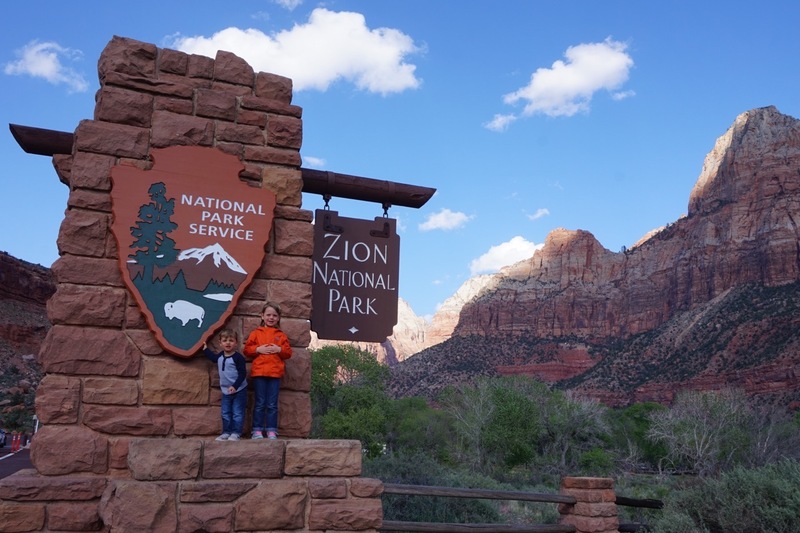 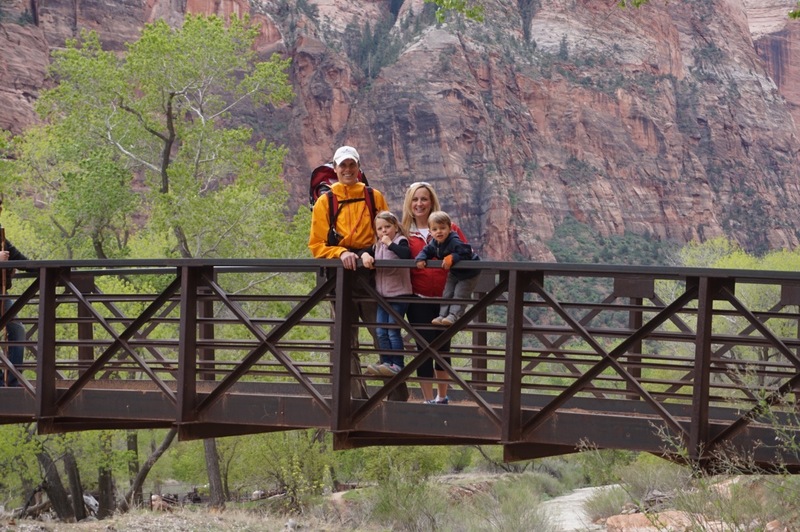 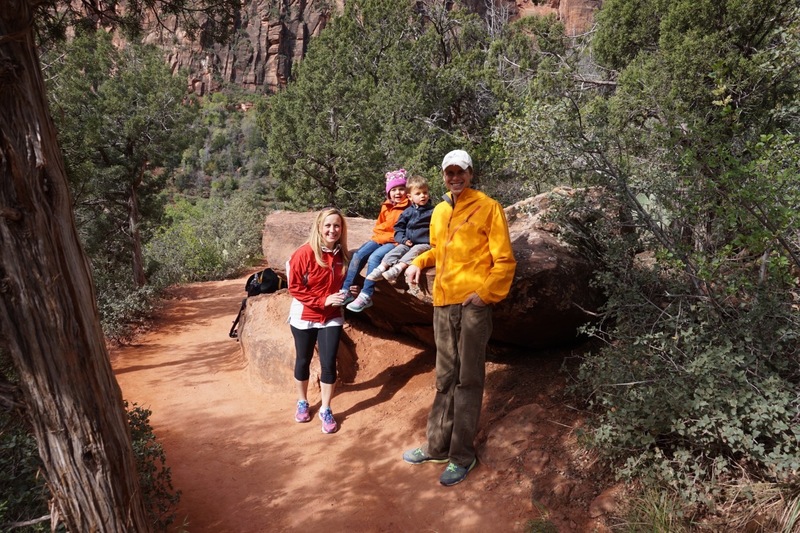 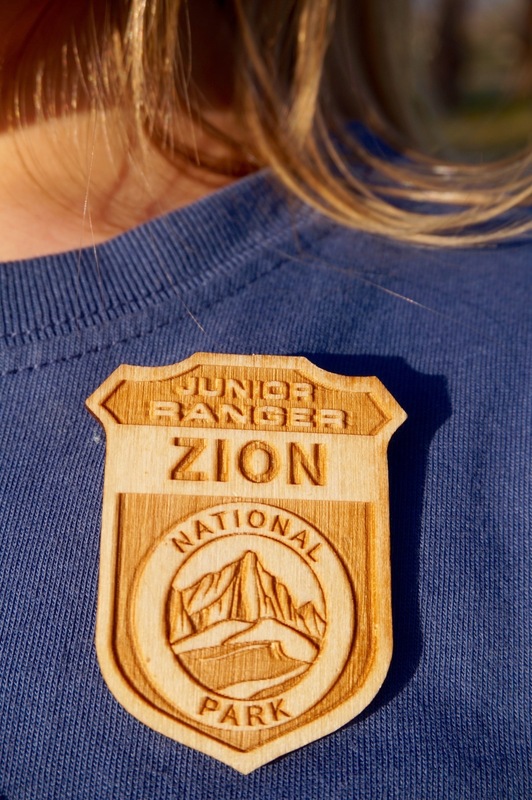 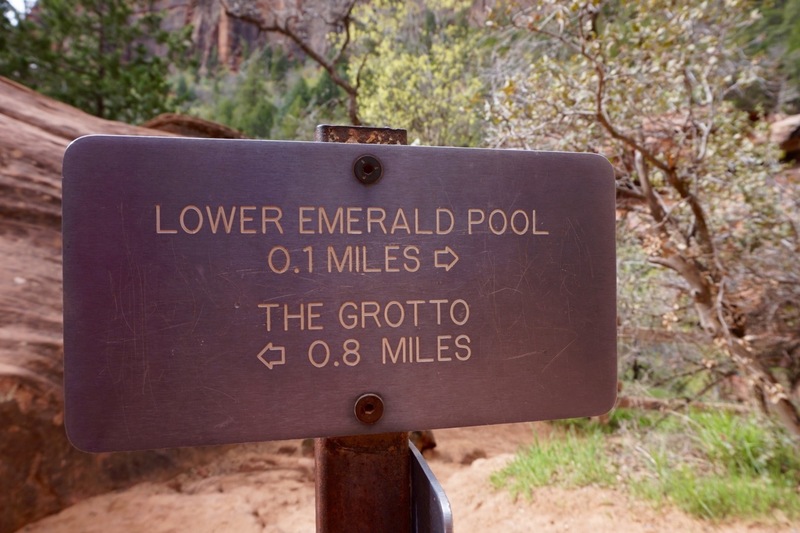 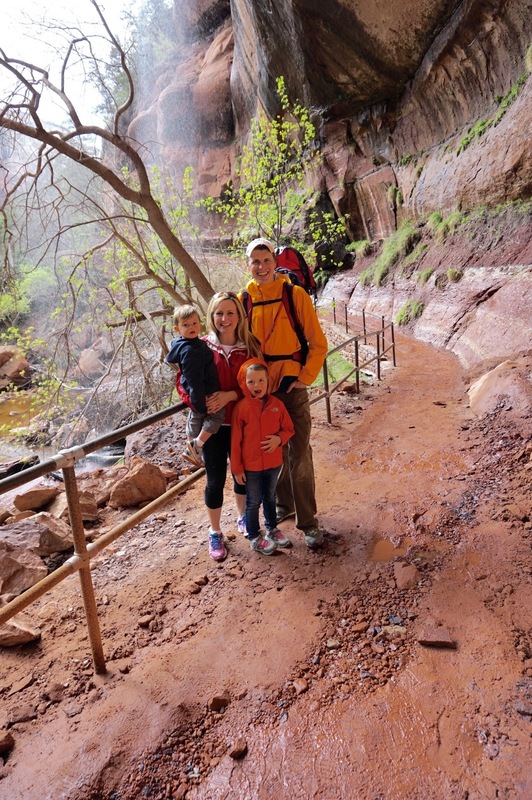 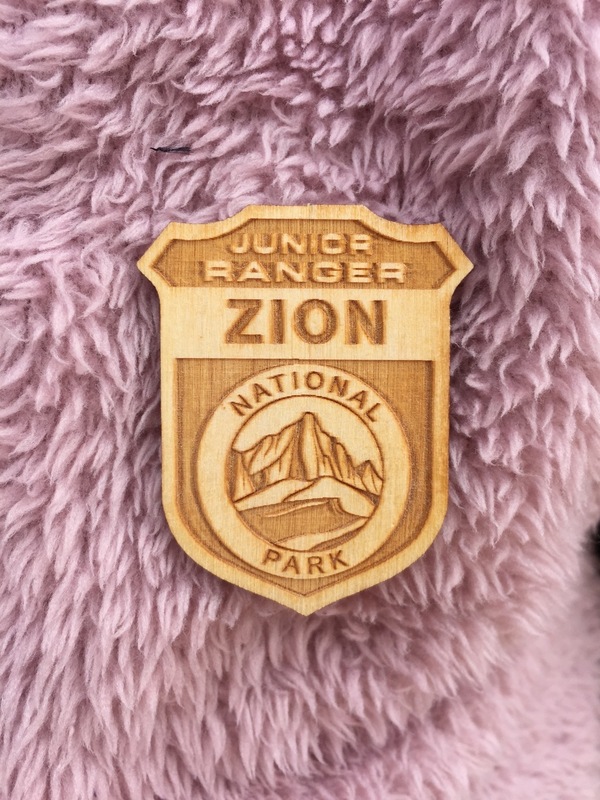 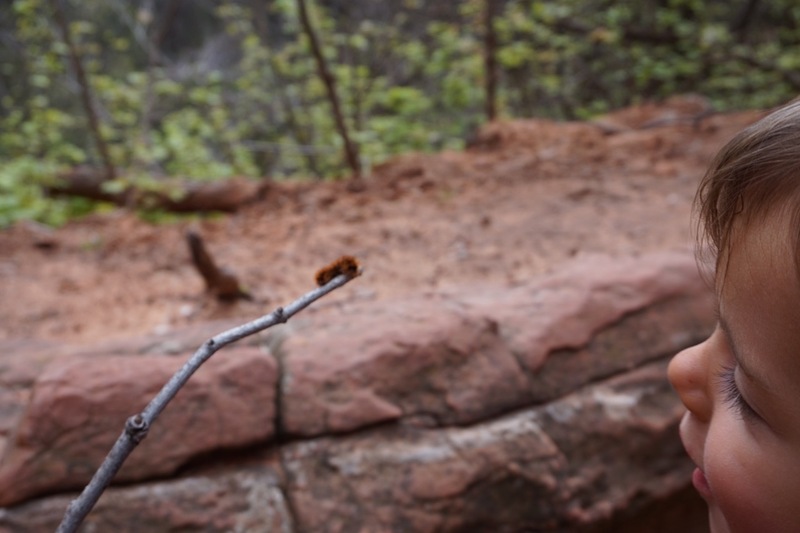 We also lived Zion National Park. 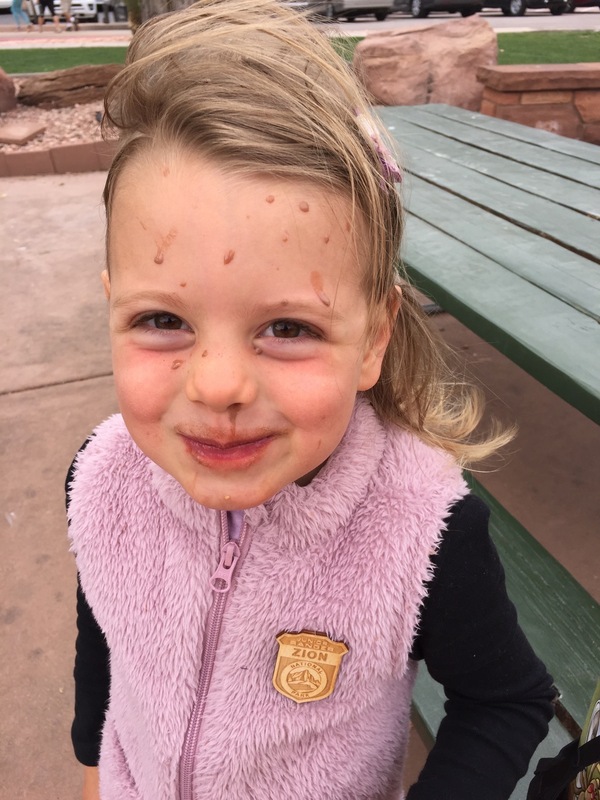 We went on our motorcycle. 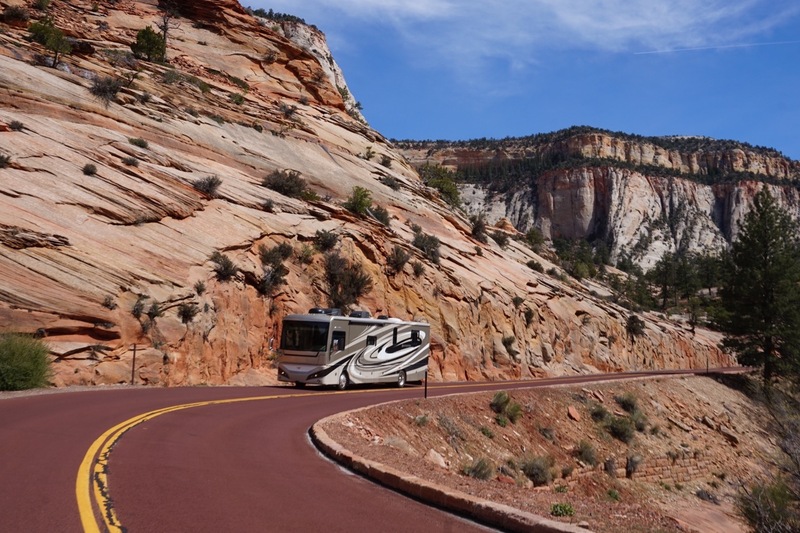 Rv sounds fun.